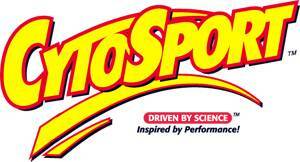 CytoSport started as a family business back in 1998. This brand name stands behind their motto which is, “Driven by Science – Inspired by Performance”. CytoSport quickly joined the ranks of big sports nutrition brands in the United States. Two years after it was founded, CytoSport created MUSCLE MILK, their premium protein powder which revolutionized sports nutrition with its impressive amino acid profile and unmatched flavour. 2006 was a milestone in CytoSport's history as they forged an official partnership with USC (University of Southern California), helping their athletes in muscle recovery and repair. A year later, they got NSF Certified, solidifying their commitment to producing sports nutrition supplements that are 100% safe and free from doping substances. CytoSport's reputation for superior quality products landed them another important partnership in 2010, this time with the Chicago Cubs, serving as the premium source of superior protein for their athletes. Delicious flavour, results-oriented top quality and award-winning sports nutrition is what CytoSport is all about! Whey protein isolate & concentrate. High Protein in a bag.